GKNM - Coimbatore →Sieger ‪‎Puzzle Parking System installed at G Kuppuswamy Naidu Memorial (GKNM) Hospital is a ‪five‪ level ‪‎parking system built on an area of 2,300 sq.mt. with a parking capacity of 375 cars. 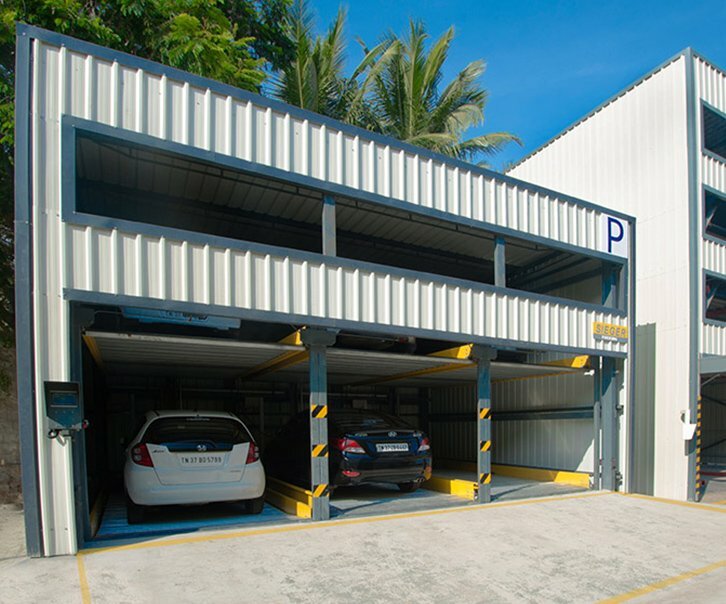 Stackers are aimed to double the parking space above ground / basement type parking. Puzzle System is aimed for optimum use of space on ground. It is electro mechanically designed to go vertically up to 7 levels & horizontally to as much space available on ground. Fully automated parking systems are the state-of-the-art in technology. 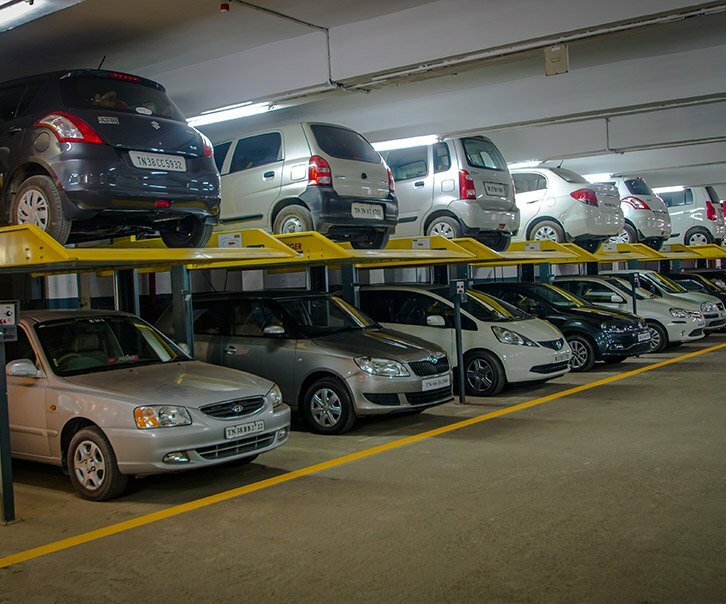 They have horizontal carts in each level and a vertical lift which carries the car from the drive level to different floors. 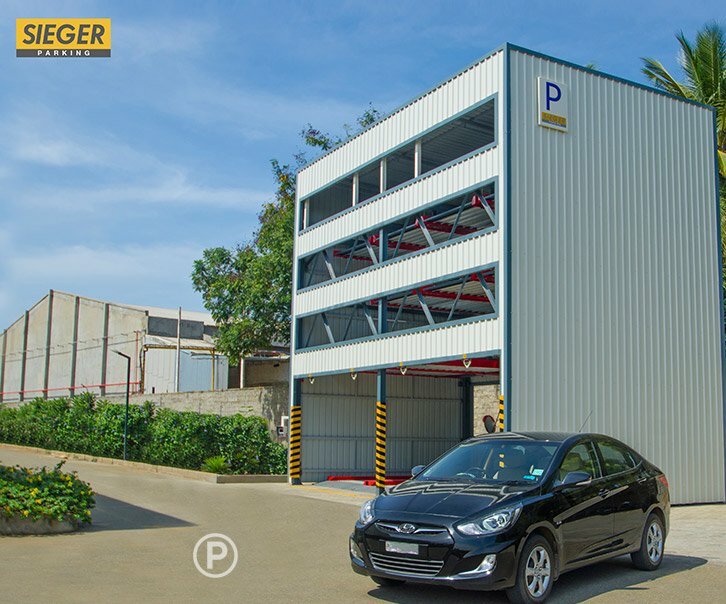 How can Sieger Parking Solutions can change the parking experience?